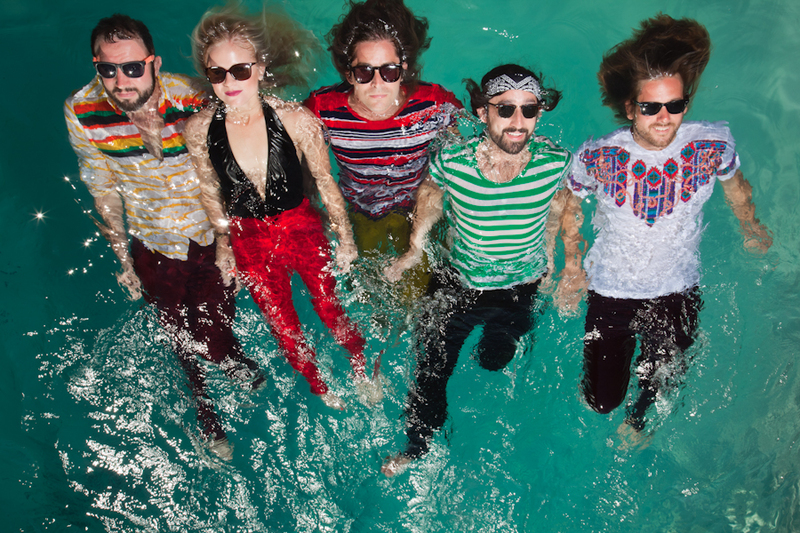 Listen: Youngblood Hawke & Diamond Rings Remixes! Youngblood Hawke’s debut album, Wake Up, will be out April 30th. Los Angeles indie alternative quintet Youngblood Hawke and Toronto electronic pop troubadour Diamond Rings have swapped remixes! The band added a devilishly danceable energy to the Canadian stalwart’s hit single “Runaway Love,” while he took on “Last Time,” giving it a fresh and fiery spin. “Last Time” shows listeners another side of the group’s forthcoming Republic Records debut full-length, Wake Up, available in stores and online April 30. This is the first time the world has the opportunity to hear new music, so listen up. The band is also hot off of a sold out headlining show in their hometown and ten smoking SXSW appearances. They’ll be hitting on the road again starting April 19 in Austin, TX, where they’ll be kicking off a headlining tour (all dates below). “We Come Running” has become a ubiquitous anthem in its own right. With danceable cadence and a massive refrain, the song resounds with arena-ready energy. The group recently played the standout track live on The Tonight Show with Jay Leno, which you can watch here. Plus, its music video has some real teeth, featuring an audience of sharks and the submersed band members. Consistently drawing attention, the clip recently surpassed 1 million views on YouTube/VEVO and counting. After a tour with Stars, performances on The Late Show With David Letterman and The Tonight Show with Jay Leno plus a string of showcases at SXSW, Diamond Rings will be hitting the road opening for electro-pop icons OMD this Spring and Summer (dates below).